Another of David’s. It’s just a short bit of schmaltz about living in harmony. Since it is dedicated to the pilgrims returning to Jerusalem, presumably the harmony refers to the reunification of the Jews there. But as we all know, there has been very little harmony in Jerusalem in the last couple of thousand years. Psalms 134 -137 are by anonymous authors. everyone should fear and praise Yahweh (v 19-21). and ‘feeding every living thing’ (v 25 – don’t you wish!). Or, if you prefer to sing instead of recite, you can sing multiple verses of this hymn, each of which have the same chorus. There’s so much to say about this psalm – where to start? Well, first, it only makes sense to me now that I have read the history section of OT, particularly Kings, where the fall of the nation of Israel, the sacking of Jerusalem, and the Babylonian exile are explained. If you don’t know the context, this psalm will mean nothing. The first 6 verses are the poignant reminiscences and regrets of a displaced people and would resonate with anyone who has ever fled a war-torn country. But then the tone changes and gets ugly in v 7-9. The psalmist want vengeance – and describes in graphic detail exactly what violence should be inflicted on the unfortunate victims. This would now be considered a heinous war crime – revenge against the soldiers might be understandable, but innocent babies? But how many times has the bible talked about punishing children for the sins of previous generations. And think about the emphasis on children as a measure of happiness and success. In this context, it makes sense that if you want to punish and cripple a nation, striking its children is probably the nastiest and most effective tactic imaginable. After all, Yahweh used it in Exodus, and so did Herod, in Matthew. I doubted that any of the many musical versions of this psalm would utilize v 7-9 for lyrics, thinking that most would quit after the first few verses. But darned if some believers won’t try to justify anything! I found a Christian rock band named Sons of Korah (get it?) who recorded this whole darn psalm. They softened the violence in the last verse, though, by changing the words to “Blessed is he who destroys your progeny”. Doesn’t have quite the same impact as the original, does it? Psalms 138 -145 are David’s last set. David is doing what David does best – sucking up. Nothing new here. This creeps me right out. V 1-12 create the image of a god who is either a stalker, or a puppet-master, or both. David seems to be under the spell of some kind of cult leader here. These verses certainly challenge the concept of free-will, that’s for sure. 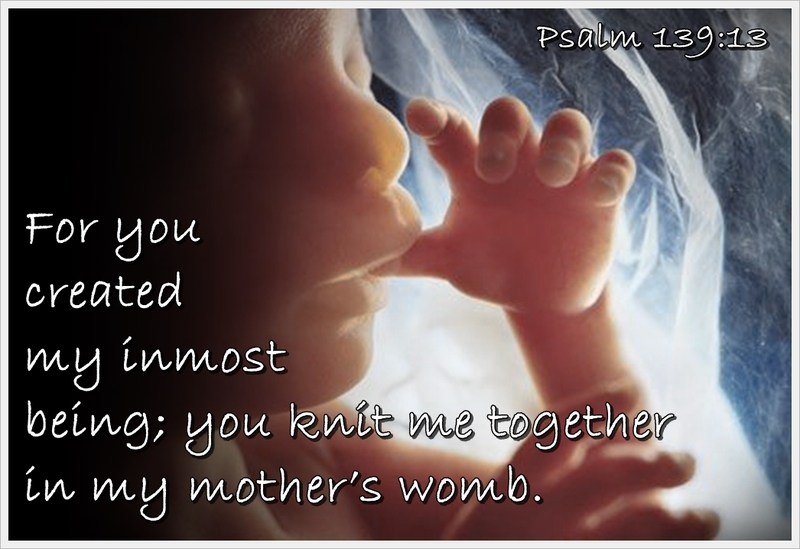 Then we get to v 13-16 – favorites slogans of the ‘pro-life’ movement. 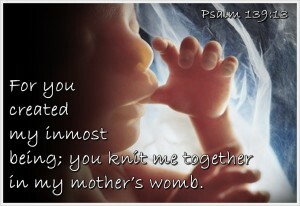 You will see quotes from these verses plastered all over picket signs and on internet memes. But all they suggest to me is creationism, which everyone believed at that time. V 17-24 – well, that’s just David being the egotist that he is – of course he believes that god thinks about him all the time, and that god has nothing better to do than fight his battles for him. I am SO tired of David.